Lock in a great price for The Hideout Hostel – rated 8.6 by recent guests! Awesome place to make new friends, very small hostel so its easy to meet people. This has to be the by far the best hostel i stayed at in Bali. Free water, free daily yoga classes, free gym, use of kitchen and fridge, pool. The cubicles were epic and good social vibes but not a 'party' vibe. This place was great! 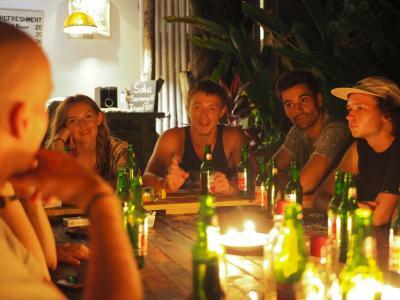 The hostel has a very friendly vibe, so it’s easy to meet people and make new friends. The pool is refreshing after a hot day. The dorms are clean and the beds are comfortable with your own light and outlet. The property was so beautiful and peaceful, but there was still a fun, social atmosphere. The staff were great and I always felt included. You can't go wrong with free yoga every morning and a free gym! Good vibes, great common area to chill out, quiet area to be in so it's super relaxing! I love absolutely everything about this hostel. As a solo traveller it’s the perfect amount of social without being too chaotic or party party. Coming here was like joining a family. The workers budy and eddy are fantastic and very helpful. The volunteers are amazing and the owner is a legend. The hostel is cleaned twice a day, keeping things clean and tidy. There is a kitchen with everything you need, a pool, and two separate sitting areas giving ample space to bond with other travellers. They have plenty of scooters to hire on site. The hostel also provides a gym membership and free yoga classes every morning, seriously... what more could you want. The family dinners twice a week are also a nice touch. The beds and bathrooms are also clean and comfortable. Honestly I’ve never stayed at a hostel for so long during my entire travels. Would highly recommend to anyone who is visiting canggu. The service at the hotel was great! Because of my crazy schedule during my trip, I was never around at the hostel to pay for my stay, but they actually took the extra effort to sneak a note on my bed to make sure I know that I can leave my payment with the driver who was to take me to the airport. They really put extra effort to help you there. Thank you! The common space was so spacious and pretty as well, pictures don't do it justice. Offering free WiFi, a sun terrace with a swimming pool, free bikes and fitness center, The Hideout Hostel is located in Canggu. Among the various facilities are barbecue facilities and a garden. Guests can enjoy a drink at the bar or a meal in the restaurant. All guest rooms in the hostel are equipped with a coffee machine. The Hideout Hostel provides certain accommodations that feature a patio, and all rooms have an electric tea pot. Guest rooms are equipped with a seating area. Echo Beach is 3.6 miles from the accommodation. Ngurah Rai International Airport is 12 miles from the property. 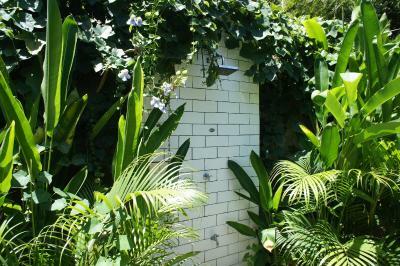 This is our guests' favorite part of Canggu, according to independent reviews. When would you like to stay at The Hideout Hostel? This bed in dormitory features a dining area, toaster and seating area. House Rules The Hideout Hostel takes special requests – add in the next step! Please inform The Hideout Hostel of your expected arrival time in advance. You can use the Special Requests box when booking, or contact the property directly using the contact details in your confirmation. Nothing! awesome place, if you don't drive a scooter you may find it a bit inconvenient to get around. This wasn't an issue for me! Canggu is a good place to learn if you're interested! 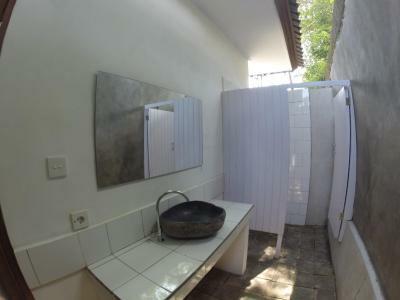 Located just outside the hub of Canggu, the Hide Out hostel is in a perfect location if you are comfortable driving a scooter. Its a cozy oasis with a pool, common area, and even a hammock garden. Rooms were clean and the staff were 10/10! Great place to stay if you are looking for something familiar and quiet! Nice pool and places to hang out... the dorms are clean and you have an outdoor shower. The staff was really friendly and helpful. Would definitely stay there again! This is an excellent hostel! Everything you want in a Bali hostel. Super tropical, nice pool, great people, close to the beach! The free yoga is great too! Rooms are clean, the grounds are excellent. Super friendly staff and owner as well. Highly recommended! Pretty much everything. Extended my stay here it was that great. Definitely the best hostel I've ever stayed in! A little out from the main Batu Balong drag, so it's nice and quiet. Really is a "Hide Out", a hidden gem. Helpful staff and a great place to meet other backpackers and travellers. Super-chilled...Everyone hangs out with a beer and chats, plays cards during the day and into the night! And there's always someone heading out to tag along with for a night in the bars/clubs/parties going on. Feels very inclusive and welcoming. And beautiful garden/poll area with cushions, hammocks, slack lines etc. Lots of guests were returning to stay after trips here and there! There was no yoga for the whole time when I was there. And I heard even before my stay there was some problems. There were times in the middle of the day when there were no staff around when you needed them. The pool, the hangout areas and the location are great. 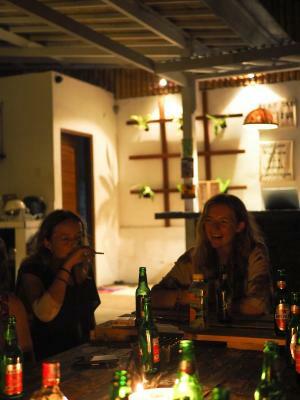 Very good social atmosphere at the hostel and easy to meet people. If I go back to Canggu I would stay here again. Good atmosphere, nice people and free gym passes! Staff was very kind and helpful. Great hostel, great vibe and brillIant staff. Great hostel for meeting people. No complaints.